Weighty Matters: Guest Post: Are Public Funds Being Used to Undermine Canadian Health? Guest Post: Are Public Funds Being Used to Undermine Canadian Health? Today's guest post comes from my friend and colleague Dr. Norm Campbell. He's borrowing my soapbox to tell you a bit about a conference on dietary salt that's slated for next week and his concern that it's designed to undermine the health of Canadians. A prestigious national health and scientific organization uses public funds to undermine the health of Canadians? The Canadian Academy of Health Sciences (CAHS) - a little known but prestigious organization of top Canadian scientists has decided to weigh on the recommendations for reducing dietary sodium. CAHS indicates it wants assess whether current dietary recommendations are supported by evidence, highlight new evidence and also to provide the spectrum of opinions on dietary salt. However, the meeting seems based on a very few highly vocal scientists who have publically opposed dietary salt reduction, including those that have had long standing relationships with the food and salt industries to address the issue. The only new evidence indicated to be presented is a study based on a very weak assessment of salt intake, questionable assessment of blood pressure and not surprisingly showed a weak association between the two. In fact, many of those opposed to sodium reduction have conducted research that has been highly critiqued as using weak methods that could explain their research findings. Much newly published literature associating high dietary salt to adverse health outcomes is overlooked by the organizers. The opinions of those opposed to salt reduction and the deliberations of the scientific and health care organizations and experts that support dietary salt reduction has been highly published in scientific journals as well as in lay press. Although highly regarded national and international scientists who support reduction in dietary sodium have been invited, after learning the format of the meeting many have withdrawn or refused to participate. Very recent research from the American Heart Association has delineated the impact of weak research methods on outcomes of sodium studies. The Cochrane Collaboration and many others have voiced concerns on the impact of conflicts of interest in general on research findings and new merging research indicates very substantive associations of author conflicts of interest on outcomes of diet related research. Cook and Gould commented that systematically appraising the evidence and providing transparent recommendations for practice, guidelines have the potential to improve both bedside decision making and health policy however they also indicated that, to be of optimal quality, such must not be tainted by conflicts of interest, and their authors must employ rigorous methodologies to evaluate the evidence before them. The CAHS symposium however has declined to have a session to address the impact of (weak) research methods on research findings and also declined to have a session on the impact of commercial conflicts of interest. 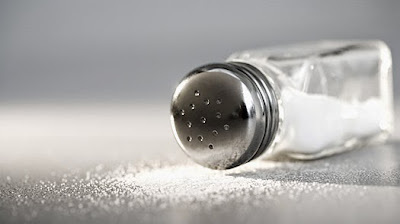 Rather, based on a symposium lasting a few hours and with a foundation of a few dissenting scientists and people with close industry ties, the CAHS proposes to issue public reports clarifying the role of evidence on dietary sodium reductions. The clinical and public health science of dietary sodium has been repeatedly reviewed by many major national and international scientific and health care professional organizations and over the last 10 years based on best available evidence has had uniform recommendations supporting reducing dietary sodium. The Global Burden of Disease (GBD) study conducted by over 450 of the top public health experts and epidemiologists in the world estimated dietary salt resulted in over 3 million deaths (61 million years of disability) in 2010. The estimate was for over 13,000 deaths and 200,000 years of disability in Canada in 2010. Based on the impact of dietary sodium on health, the World Health Organization and United Nations have made one of 9 global targets to prevent non communicable disease reducing dietary sodium. The World Health Organization calls sodium reduction one of very few ‘best buys’ to improve population health. In stark contrast to the CAHS approach, careful and thorough reviews of the evidence on dietary salt and health by national and international scientific organizations take 1-2 years of research and deliberation and select a diversity of experts that represent public interest and exclude experts perceived to represent the financial interests of industry. Notably, organized opposition to salt reduction by the food and salt industries to reducing dietary sodium resulted in the formation of a global advocacy group, World Action on Salt and Health with over concerned 500 scientists and health care professional members. While the CAHS symposium format might be expected to have been created with support from the food or salt industry, it is most startling that the CAHS is supported by a grant of $35 million federal tax dollars to the Council of Canadian Academies. Perhaps even more startling is that the CAHS has indicated it is specifically targeting a multimillion dollar public education program of Health Canada to reduce dietary sodium. The rational for the CAHS meeting is unclear but one of the organizers Dr S. Yusuf is publicly on record to oppose dietary salt reductions. One of the sponsoring organizations with CAHS has not been able to be identified (World Federation of Cardiology). The other organization (World Heart Federation) that is indicated to be a sponsor is on public record supporting dietary salt reduction. The bottom line is weak and conflicted research and highly select presentation of a single divergent research study will lead specifically to controversy. The CAHS meeting format seems designed to provide credence to both weak research methods and commercial interests and has an unclear rationale. Further, the CAHS needs to be accountable for spending public funds on this meeting that seems diametrically opposed to the public’s interest. With the United Nations and the World Economic Forum (representing the global corporate sector) declaring chronic non communicable diseases a major threat to global development and indicating reduction in dietary salt one of the primary causes, surely the CAHS, an organization representing Canadians top researchers can make a positive contribution to health of Canadians and the global population. Professor of Medicine, Physiology and Pharmacology and Community Health Sciences. Chair of the Canadian Hypertension Advisory Committee (of national health and scientific organizations to lead the nongovernmental effort to prevent and control hypertension). Co-chair of the Vascular Risk Reduction program of the Alberta Health Services Cardiovascular Health and Stroke Strategic Clinical Network. Member of the World Health Organization Nutrition Advisory Group, Non Communicable Disease, (NutNCD group 2012-2016).